This month, we commit to a zero clown-hiring future. As the looming Internet of Things (IoT), Virtual Reality and bleeding edge tech approaches, we thought we'd spend a moment to show some forward-facing tricks for the future. Alicia solidifies the framework of understanding of what the system is and does to help clients design their implementation roadmap with the platform. 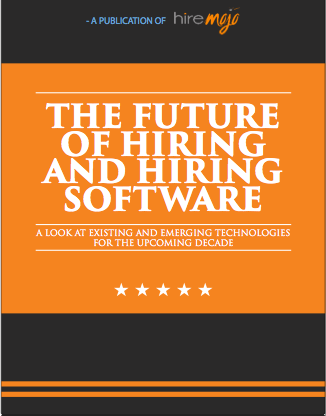 This Month's FREE eBook looks at the Future of Hiring and Hiring Software -- with takeaways you can use today. Outside-In give us a look at the far-flung future of hiring. Savings are in your future, if you act soon with our Refer-A-Friend special. Article of the month: Apple says no to the FBI and raises many questions about the future of digital privacy. Alicia goes back to basics to make sure your framework for the future within the HireMojo platform is solid! Once you have set up and launched your position within our system we determine where your position will be posted. We will find the best places to post your job based on what has been successful with other positions like yours. As a part of your job plan you will set up online interview questions based on the specific criteria and experience for the role. There are a series of multiple choices questions as well as open ended questions. You will be able to assign scoring to the multiple choice questions and weight the responses to meet your needs. These questions are completely customizable and meant to serve you in your candidate screening process so you spend your time with the candidates that are best suited for the role. After a candidate has applied they will be placed in to different categories once they have been automatically screened by your online interview questions. These candidates have passed and completed both levels of screening. The first scored section is the Initial Interview Questions, these are multiple choice questions. The second set of questions are open ended, we call these Secondary Interview Questions. You can not make a decision on candidates in this section. *For a candidate to be Not Hired or Hired they will have to be in the Under Evaluation tab. Once a hiring manager has made a decision on a candidate that candidate will then pass over from the Under Evaluation to either the Not Hired or Hired section. Now your candidates will be differentiated by Ranked and Recommended & Unranked. If you will be working in a collaborative environment you can use the thumb up feedback tool to quickly communicate priority clients. You will just select the thumbs up and icon and it will record the feedback next to the candidate's name. To undo the thumbs up just select the icon again. Throughout the interview process you will need to add additional information about the candidates that will be need to be communicated to the rest of the team viewing the job. Using the notes you will be able to easily communicate this information in the preview screen. And then type the note text and select Save. You can now preview this note when hovering over the note pad icon next to the candidate's name. This month in our continuing FREE eBook series, we examine the Future of Hiring and Hiring Software - new technology and trends on the horizon that will help shape your hiring department -- with takeaways that you can start implementing today. OneSpace takes a look at the rapidly evolving workplace. 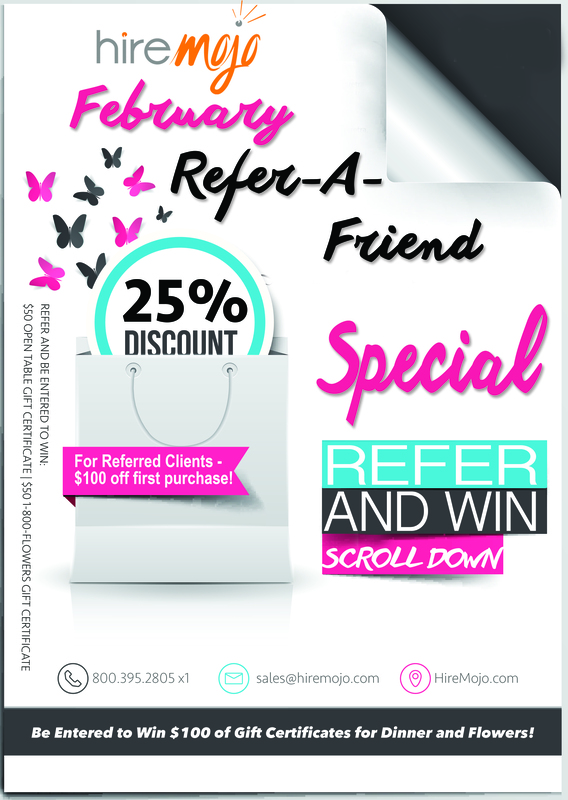 Don't miss out on the last days of our Refer-A-Friend Special! Apple has rejected a request by the FBI to create software to unlock the iPhone. 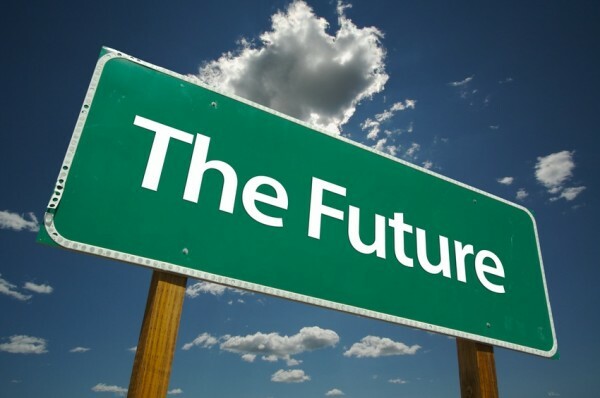 When we discuss 'the future,' it is important to be aware that the legal reprocussions and fallout from this case will literally write the future of hardware and software practices. Wired has an exemplary breakdown of the issues and a link to Apple's open letter to the public.